Rumors of seniors straining to pay their rent started making the rounds at Santa Monica City Hall two years ago, so officials surveyed elderly residents. “We had one household where the participant was eating every other day,” said Lisa Varon, senior analyst with the city of Santa Monica. “We had another household where the participant was trading her parking space for protein powder. We had people who were forgoing medical or dental care that they needed and making really difficult choices. They were all managing to hang on by a just a tiny thread and they were doing it with a lot of dignity in the last quarter of their lives," she said. Aging in California is becoming less about cruises, the pursuit of hobbies and time with the grandchildren under the sun, and more about survival. One in five seniors in the state lives in poverty, according to the Kaiser Family Foundation. Half of the state’s single seniors don’t have enough money to cover basic expenses. And regions like Los Angeles County are seeing a spike in homelessness among seniors. Santa Monica hopes to stem that trend. In November, it launched a 14-month experiment by giving cash to nearly two dozen senior men and women struggling to pay their rent in a city that has rent control. “You would think their rents would be low, but even the 3 to 5 percent increases allowed a year outstrip the increases in the cost of medical care and other costs, combined with the limited increases in Social Security,” said Steven Wallace, associate director of UCLA’s Center for Health Policy Research. Before Kaye -- who only wanted her first name used -- was admitted into Santa Monica’s pilot program, she said she had to pay all her expenses from her $1,000 monthly Social Security check. That meant no money for partial dentures. 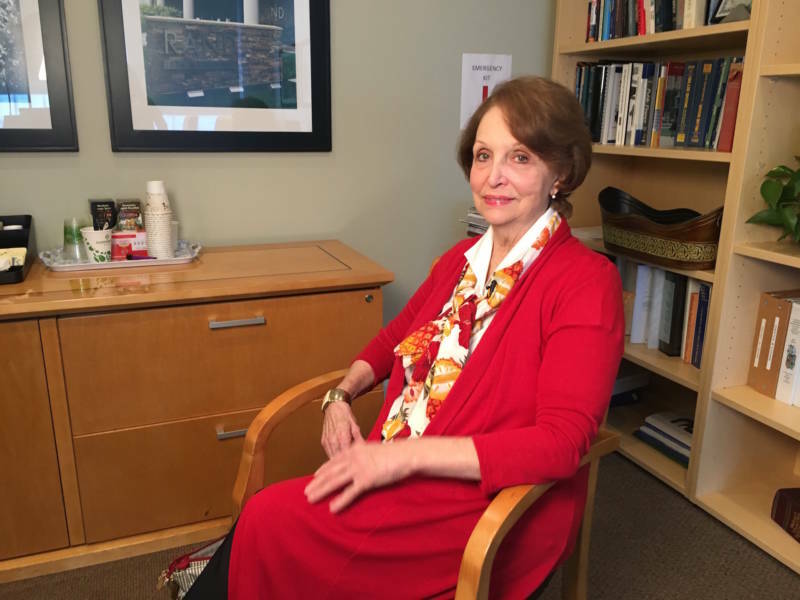 “I had to have 12 teeth pulled out of my head in one day so that I could get dentures because they [Medi-Cal] wouldn’t pay for partials,” she said. It also meant no money for gas for the 70-year-old’s car or any other transportation. "There were many times I would have to say to someone, 'I don’t even have money to take a bus to get to you,' " she said. Kaye said Santa Monica’s monthly subsidy has saved her. 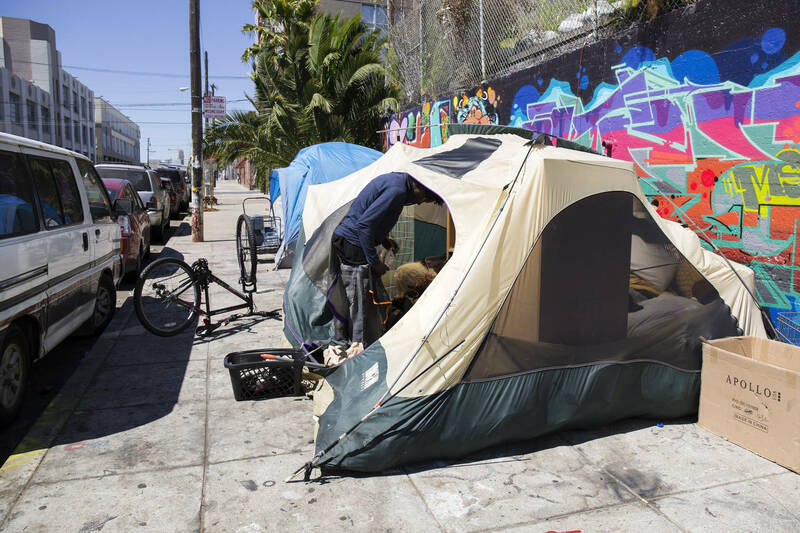 "If it weren’t for the city of Santa Monica helping me, I would probably by now have been evicted and on the street," she said. Outside of helping seniors remain in their homes, city officials say the goal is to preserve Santa Monica’s diverse population. Officials said Santa Monica may be the first city in the United States to subsidize rent for seniors. Though other cities like Denver and Detroit are offering rental subsidies to low-income families. Stockton also plans to offer a basic monthly income of $500 to some of its neediest residents in the fall as part of an 18-month project. "We are human beings," said 70-year-old Pierre Devillandry. "We have to help each other." Then came the letter from the city of Santa Monica informing the painter that he was accepted into the pilot program for a monthly subsidy. “It was something that came down from heaven,” he said. Wallace said single seniors like Devillandry are hurting the most. Wallace consulted on Santa Monica’s elderly subsidy program. He said the true test of its success will be if seniors in the pilot project stay in their homes longer than those who are not receiving help. Another indicator will be if the city saves money. 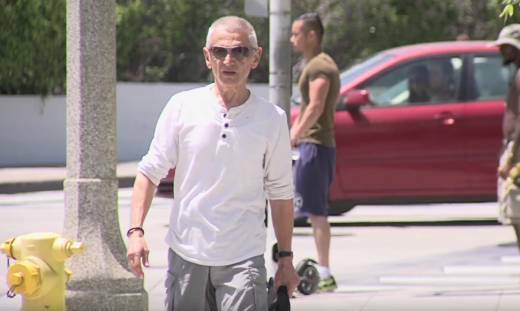 Santa Monica admitted seniors making $14,000 a year or less into the program. The city used UCLA’s Elder Index to calculate how much it costs for seniors to cover their basic expenses and has sought to raise the income of each of the participants to $22,098 annually. Varon said Santa Monica has set aside $300,000 in general fund and sales tax money for the pilot project. She said the alternative could be even more expensive. Santa Monica’s Agle views the city’s subsidies as part of its social contract with seniors. Correction: In an earlier version of this story, we misidentified UCLA's Elder Index as UCLA's Elderly Index.